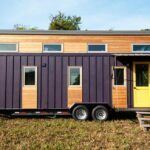 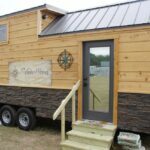 The Looking Glass is a 24-foot tiny home built by Red Crown Tiny Homes in Asheville, North Carolina. 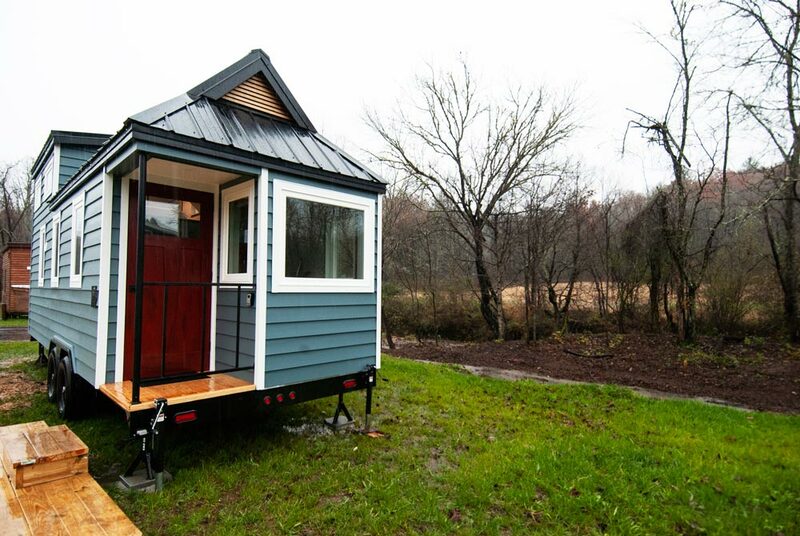 The home is available for nightly rental at the Acony Bell Tiny Home Village. 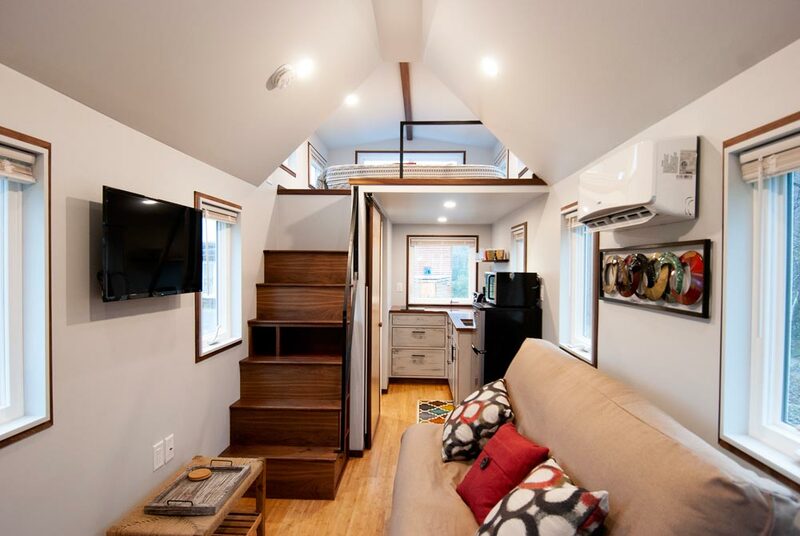 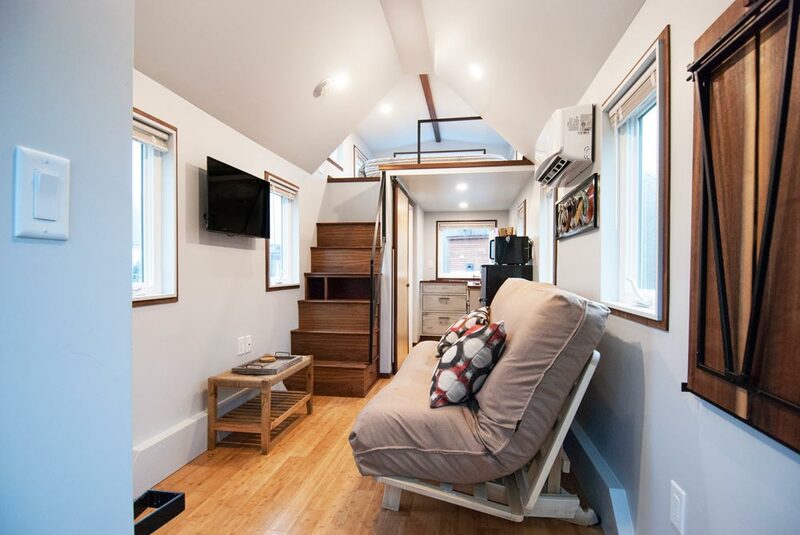 The tiny home is 264-square-feet including the loft. 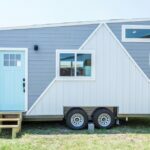 The exterior is finished with beautiful blue siding, white trim, and a red front door. 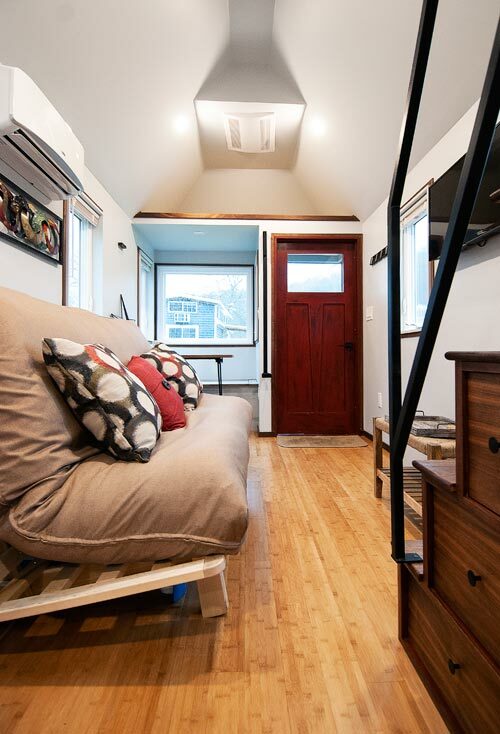 Inside the Looking Glass are bamboo floors, walnut trim, and a custom fold down walnut live edge table. 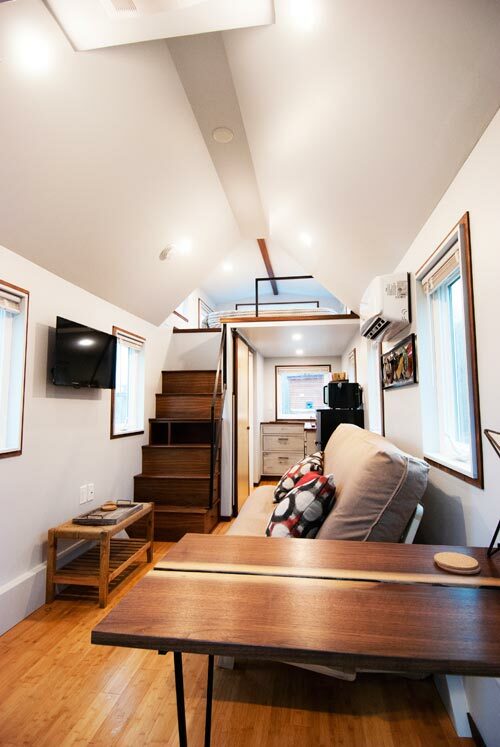 In the living room is a wall-mounted TV and a futon that folds out into a double bed. 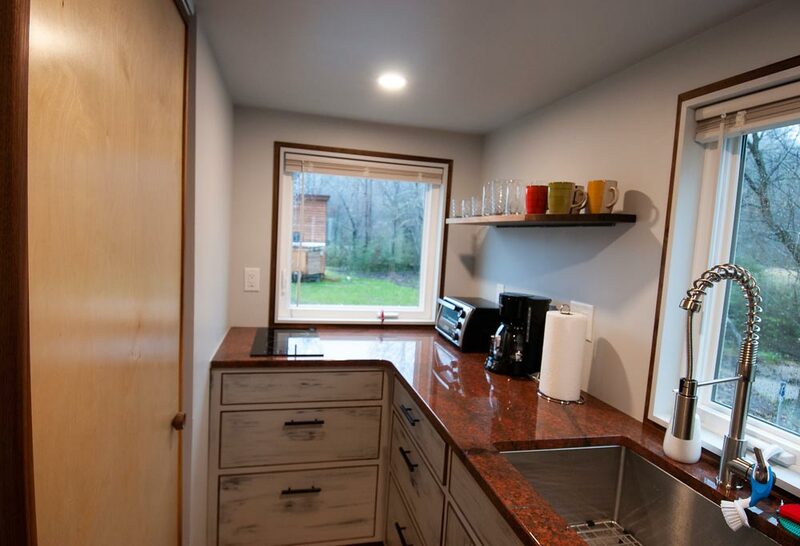 The kitchen features an L-shaped red-orange granite countertop, custom cabinetry with distressed finish, undermount sink, two burner cooktop, and refrigerator. 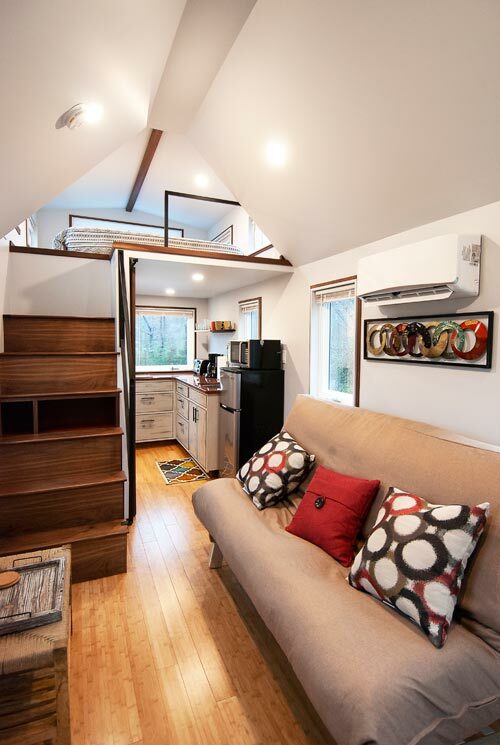 The rental also includes some extra amenities like a coffee pot, toaster oven, and kitchen essentials. 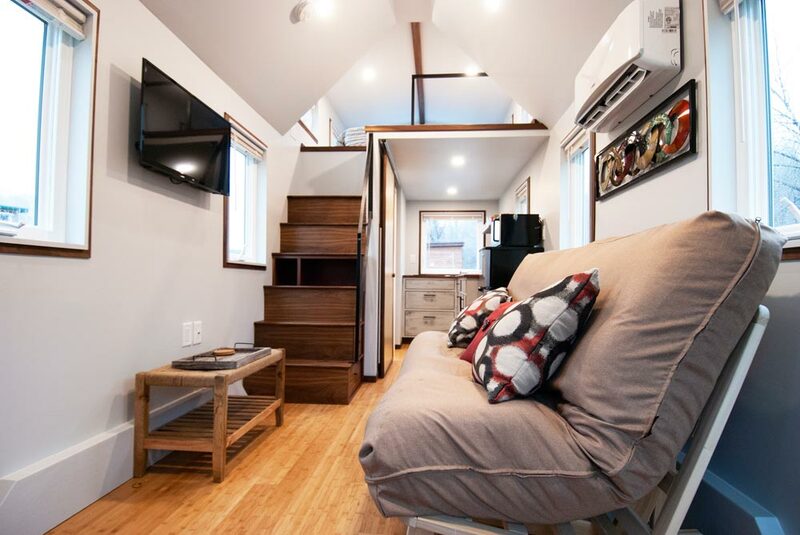 A custom build solid walnut staircase leads up to the queen size loft. 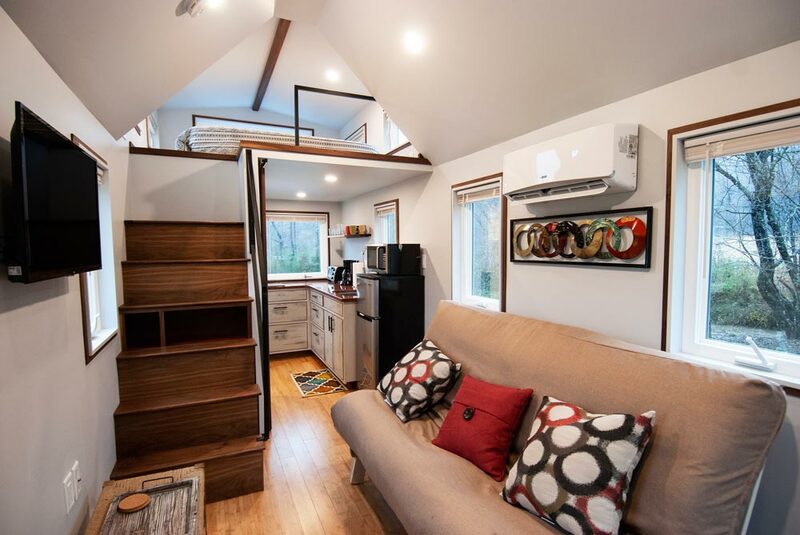 The loft has lots of natural light with its five windows. 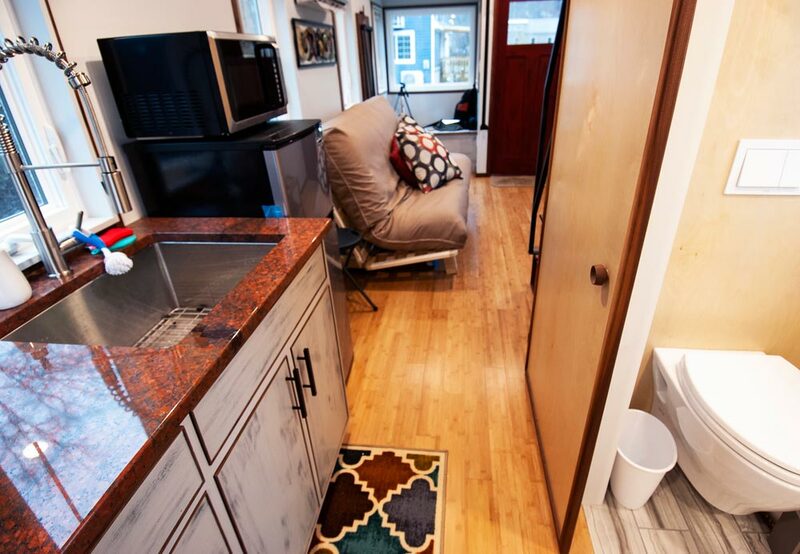 In the bathroom you’ll find a Toto wall mount toilet and a shower with on-demand water heater. 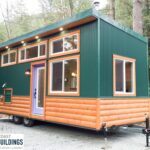 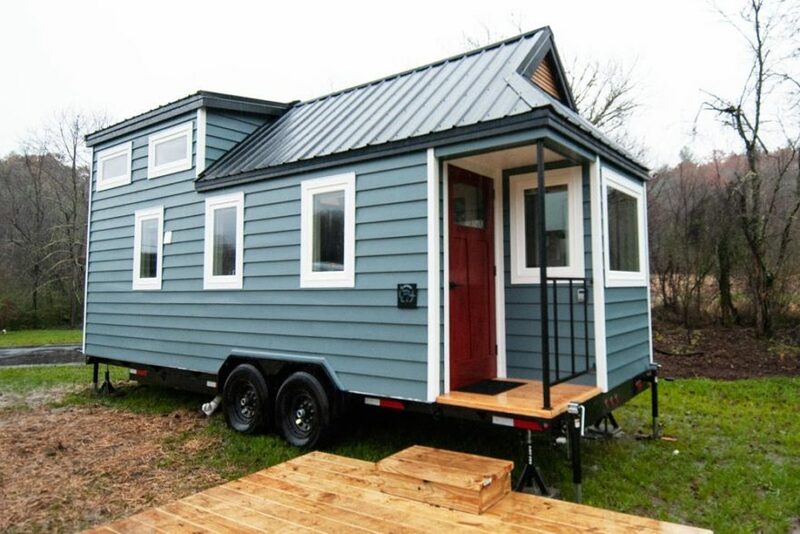 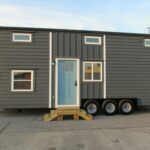 For more information about the Looking Glass, please contact the builder, Red Crown Tiny Homes. 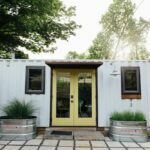 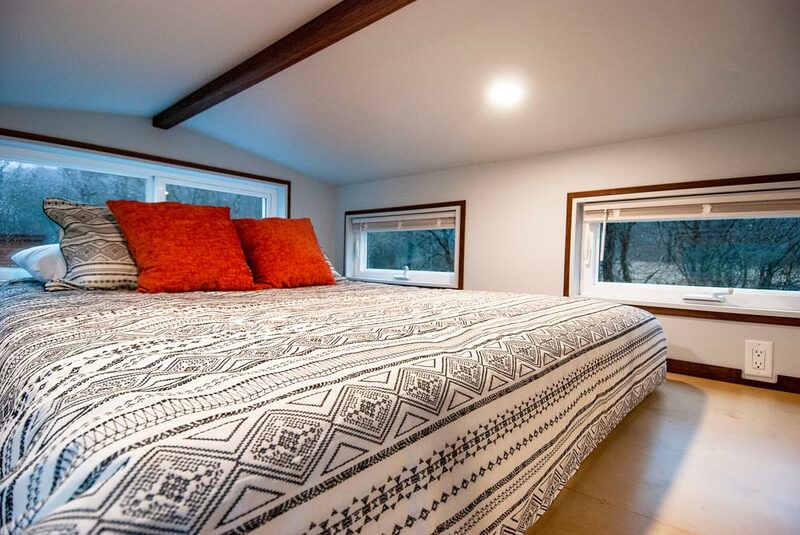 If you are interested in renting the tiny house, please visit their Airbnb listing for pricing and availability. 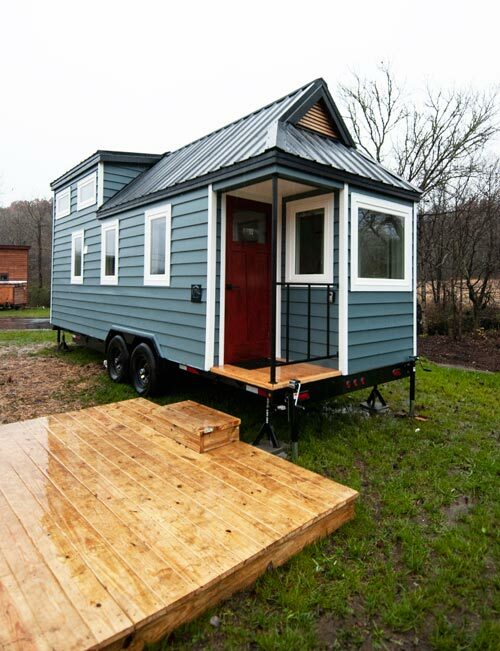 Also available from Red Crown Tiny Homes: Balsam.